This is located 10 minutes walk from the ocean and easy to get to anywhere in town. I was here over both Christmas & New Year's and hostel owner, Teresa, was a most wonderful & gracious host. Two days prior, my wallet had been stolen in Santiago. Teresa was supportive & understanding as I had had to cancel my credit cards and bank card and no longer had access to funds beyond what I was carrying. I appreciated her concern & support. Vaianny - for me - was AWESOME! Airport pick up - along with a quick drive about to be familiar enough with the local necessities (ATM, post office, etc.) - was truly remarkable. Breakfast was included daily with fresh fruits from Napa Rui. Fellow travelers from "ALL OVER" our beautiful world - were fantastic! I loved sitting around with these others & sharing our island insights/lives/travel experiences over a cup of tea/coffee. Did I mention: Airport drop off too!? Strongly recommended, ticks all the boxes. Thank you. The rooms were clean, comfortable, and a great value for the location. Everything was fine. I like the breakfast, it was great and healthy. Vaianny Guest House has average facilities at best. However, Keka, the owner,and Anita, the housekeeper, maintain a very tidy hostel. Keka is a wonderful hostess and Anita makes simple but delicious breakfasts and really keeps the rooms spiffy. 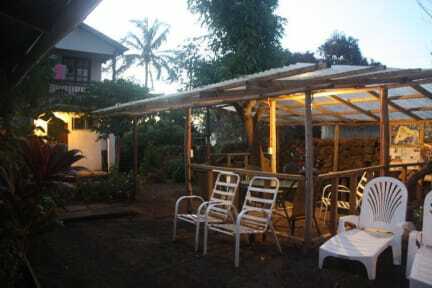 There maybe better hostels but I think Keka is just the best. She offered rides to and from the airport. Long story short: I missed my flight off of Rapa Nui and Keka helped me correct my airline ticket at the LatAm office in Hanga Roa. Awesome lady! This hostel had pluses and minuses, be flexible when it comes to the facilities because not everything is always perfect here. But the price is attractive and it is a great place for single travelers thanks to its popularity and outside shared terrace. Location could hardly be better. Only big issue I had here in 6 days was that the men's dorm was "overbooked" when I arrived and I was asked to move to another place. To which I objected after which she gave me the single room as to resolve it. 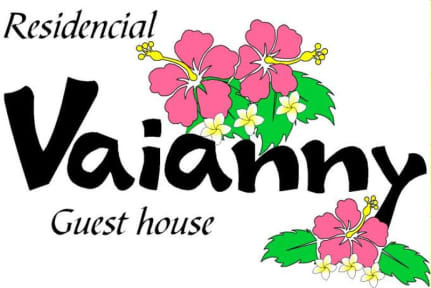 The guesthouse was well located and the staff friendly. There was a nice breakfast. The room was fine. This hostel has its pros and cons. It's cheap, the pickup from the airport is nice, and you couldn't ask for a better location - meters from the main street! From previous reviews, I came in expecting help finding tours and attractions, but I ended up having to explore on my own (no big deal). The facilities are not the best - cockroaches, the WiFi did not work, and the rooms are a bit dirty. The proprietor is very sweet, though!